The Department of Civil and Environmental Engineering offers courses in a variety of technical areas such as environmental, geotechnical, materials, hydraulics, structural, transportation, and water resources engineering. The City College of New York's department of Civil Engineering has established the City University of New York Institute for Transportation Systems. Divided into three concentrations including Transportation Engineering, Transportation Planning, and Transportation Systems Management, this program effectively combines professional practice and research. Degrees: Civil Engineering, B.S., M.S., PhD. 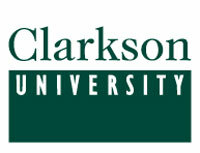 Clarkson University's civil engineering program provides students with skills in teamwork, communication, management, and leadership. Students within the department have access to an array of professional laboratories and centers including the Laboratory for Intelligent Infrastructure and Transportation Technologies (LIITT), which focuses on using emerging technologies to address existing and new demands in the transportation and infrastructure sectors. Cornell University's Master of Engineering program in transportation systems prepares students for professional careers with both private companies and public agencies. Because the development and operation of transportation systems requires a diverse understanding of concepts such as civil engineering, computer science, city and regional planning, economics, public policy, and management, Cornell's program is both interdisciplinary and systems-oriented. The core curriculum focuses on transportation planning, design and analysis. Students then have an opportunity to specialize in an area of particular interest. The program prepares students for positions as engineering technicians in a broad range of public works projects, including structures, transportation facilities, water supply, waste water treatment, geotechnical, as well as construction inspection, material testing and surveying. The Rudin Center for Transportation Policy and Management at NYU's Wagner school explores current and emerging challenges in transportation and infrastructure. The Center draws upon faculty and graduate students from NYU to conduct research on issues such as financing transportation systems, the role of mobile communications in mobility, the neuroscience of walking, and aviation and economic development. This 18-credit certificate includes coursework in environmental technology, waste management, and advanced transportation systems. The mission of the LRC Transportation Lighting Group (TLG) is to advance the effective use of lighting in the roadway system and create a legacy of positive change for society and the environment. As participants of the American Planning Association program, these colleges and universities have joined thousands of planners, officials, educators, students, and others who have made a personal commitment to "making great communities happen." Included within APA's divisions, the Transportation Planning Division specifically targets those interested in using national transportation planning to help mobilize America in an energy-efficient and sustainable way. The Upper Great Plains Transportation Institute (UGPTI) is an independent center at North Dakota State University which is guided, in part, by an advisory council composed of representatives of various organizations industries and agencies affecting or affected by transportation.